and in alabaster faces turning red with rage. I see it in thin, tight lips bowed by hatred’s yoke. Its hair stained yellow by cigarette smoke. Still, I cannot define it. Pulling its valued things closer all the while. Sadly, I cannot define it. Diabolically building wealth while poor people die. As if building the antithesis to Noah’s ark. Yet, I cannot define it. burning crosses; crooked crosses on their skin. Sorrowfully, I cannot define it. But in the end, it killed the King. This mindless, psychopathic killer of men. This hater of anyone with darker skin. So that you too can see and know it. This obscene thing can be. In order that all could defy it! You see? Live it…brilliant work…just as you dad was.. Powerful Ron. They have no defence only their blind hate. Thanks Roger! As always, you say the most encouraging things. I am grateful for your support. Thanks for the reblog. I’m honored. Something else occurred to me after I read your tribute. 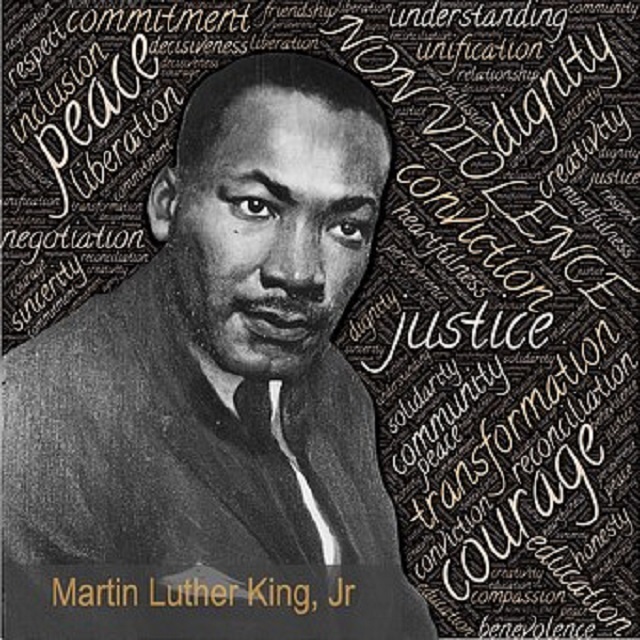 Martin Luther King’s name and deeds echo around the world. Amongst the vast numbers of people who know his name, how many are aware of any of the names of any American white supremacist leader, without searching through google? Unless they see The Light these are small people doomed to the dust. A powerful poem against racism. I know that thang when I see it too! I’ve seen it ALL the days of my life. It sits in the highest places; so high that you can find it depicted over the alter in most any of OUR churches! Talk about conditioning! Adding insult to injury! Love, Love, Love you Cuz. Unfortunately too many of US have seen it.